During the summer we are out of our ‘high risk period’ for closing the Thames Barrier. We’ve never had to close between May and August to protect London against a high tide since the Thames Barrier became operational in 1982. This doesn’t mean we’re not on the lookout though, but we can start to reflect on the winter past and get ourselves ready for the next flood season. I’ve been looking at some of the statistics from the previous two winters. The Thames Barrier Flood Forecasters (of which I’m the newest recruit) look at the predicted high tide at Southend at the mouth of the Thames Estuary and the river flow at Kingston in west London to see whether any action is required (either a Barrier closure or issuing a Flood Alert) . There have certainly been a lot fewer closures than the record breaking winter in 2013/14! The exceptionally wet weather from mid-December to March last year played a big part in the 50 Thames Barrier closures. The very high levels of river water coming down the Thames could have flooded parts of west London if it had been slowed by an incoming tide, hence the need to close on 41 of the 50 occasions. Last winter, we didn’t see such high levels of flow. We had normal amounts of rain, and therefore we didn’t forecast that river levels would reach high levels as often. But why did we issue more Flood Alerts? We issue Flood Alerts when we expect the River Thames to flood low-lying roads and footpaths that are located in front of our network of flood defences. There are several locations on the tidal River Thames like this in west London, including Putney Embankment, Stand-on-the-Green and Chiswick Mall (pictured). Flood defences here are set back from the river, and include garden walls, flood gates, flood boards and even toughened glass added to protect basements. 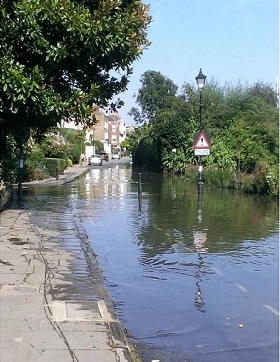 Particularly high spring tides may see a central London Flood Alert issued, again for specific locations where property level defences should be installed, or where the flood defences are again set back from the river. These locations include the Royal Naval Collage riverfront and Bankside by the Tate Modern. It’s not sustainable to close the Thames Barrier for high tides which may affect areas like these. Instead we issue our Flood Alert messages to prompt residents and businesses to ensure their flood defences are in place for that tide. Although river flows may have been much lower than last year, we still had a number of very high tides. We are almost at the peak of an 18.5 year cycle of exceptionally high spring tides. The term ‘spring’ in this sense doesn’t refer to the season – spring tides occur throughout the year and are associated with the phases of the moon. Spring tides come with the new and full moon – the period in between, around the quarter and three-quarter moon are known as neap tides. 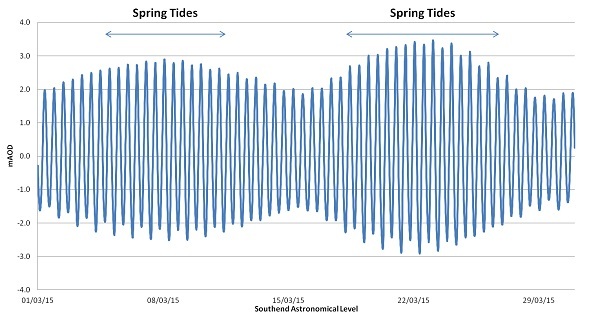 When the sun and the moon are in the right alignment, we can get some very high spring tides. The peak will be in late September this year, so we’ll have to keep a very close eye on those tides. There are still some high tides during the summer period that may require Flood Alerts to be issued, and we’ll monitor those closely over the coming months. 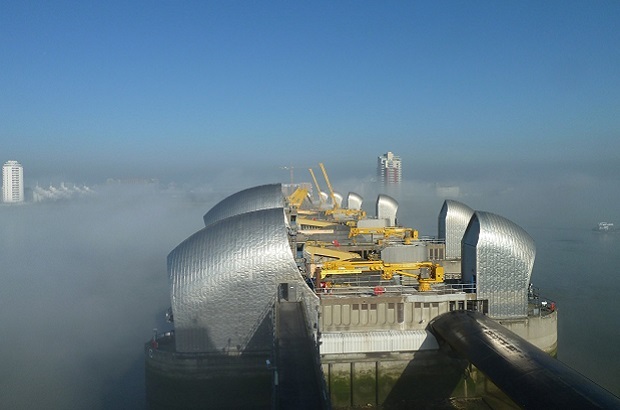 Whilst the likelihood of a Thames Barrier closure is lower in the summer, our engineering teams are still kept busy working on the second largest flood defence in the world. We use this time to continue our programme of maintenance and improvements to ensure 100% reliability. It concludes with our ‘Annual Test Closure’ of the Thames Barrier, details of which I’ll talk about in a blog post later this summer. In the meantime, dates of all our test closure exercises can be found on our website.